It should be a straightforward symbol of remembrance for the war dead, but these days the humble poppy has a PR problem. From heated discussions about where, when and how the emblem should be worn, to the debate around its boycott by UK-based Ireland footballer James McClean, and FIFA fining national football teams for including them on strips, the iconic flower has created more controversy than it really should. I believe the trouble stems from confusion about what the poppy stands for in modern Britain. The poppy was adopted as a sign of remembrance after the First World War, reflecting the flowers that grew on No Man’s Land. Over time, in the UK, the symbol was expanded to represent people who died in all conflicts involving Britain from the Great War onwards. The Royal British Legion says the poppy is "a symbol of remembrance and hope". It is not, the organisation states, "a symbol of death or a sign of support for war". 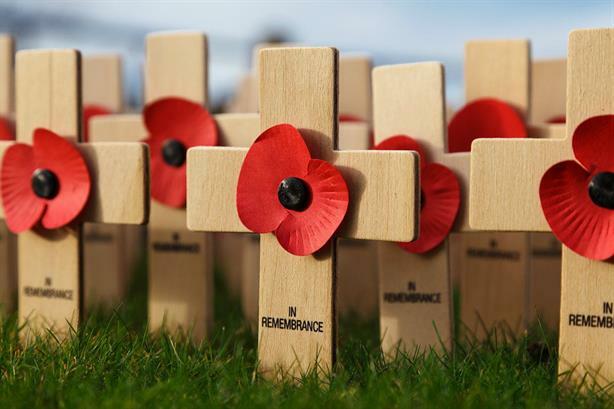 Nor is it a reflection of religion or politics, despite FIFA’s stated view last year that the flower is a political symbol; the football body since lifted its ban, and Friday’s England versus Germany match saw both sides wear poppies. And yet, watching the militaristic and royal trappings of the Remembrance Day parade, it is difficult to completely disassociate the poppy from the modern British army and the establishment that has co-opted the symbol for decades. One can see why some critics of British military policy, past or present, including minority groups whose families may have been victims of British aggression, are wary about the motif. The existence of the white poppy as an alternative symbol of remembrance, but one linked explicitly to pacifism, further muddies the waters. The Royal British Legion’s stance is to not speak publically about how people use the symbol, and focus on fundraising, remembrance and education. The approach is understandable, and in truth, the organisation probably has little choice. The poppy is an unusual brand symbol because the ‘brand owner’ has almost no way of effectively regulating how it is used. To give an extreme example, could you imagine how quickly Coca-Cola would stamp down on the use of its logo by far right extremists? Another problem has been the commercialisation of the poppy. This has been under the spotlight this year, with businesses and others accused of exploiting the symbol with crass shop displays and tie-ins (as highlighted in the biting Twitter account Poppy Watch). The use of the emblem as though it is a Halloween decoration or a piece of Christmas tinsel further undermines the power of the humble flower to symbolise the war dead. As the years pass, and fewer people have family members directly involved in either world war, the challenge will increase to keep the poppy relevant - and remind us all what it really means.